Heating equipment comes in all shapes and sizes and can be tricky to maintain in efficient working condition over a long period of time. The problems that arise from malfunctioning heating equipment are not always immediately visible or obvious. This is because their smooth operation depends on several extrinsic as well as intrinsic problems. Special training in maintaining and troubleshooting issues with heating equipment can go a long way to ensuring the machines last a long time and operate properly. 1.) Normal room temperature of the area where the equipment is installed. 2.) The amount of moisture in the air surrounding the equipment. 3.) How well you use the equipment, keeping in mind its limitations and work capacity. 4.) Relation to other room equipment. Sometimes, another piece of equipment could be present in the room that interferes with the proper functioning of the equipment. 5.) The quality of the equipment. Cheaply-made products with a slapdash style of assembly and installation have a higher chance of malfunctioning. 6.) Faulty repairing can often result in even worse performance due to incorrect internal configuration of the device. 7.) Installing new features and products in the device that are not compatible with the machine as a whole and do not work smoothly with its individual parts. – The machine emits a strange noise that you did not hear in the past. – The machine is not performing the heating function it was designed for. – It is leaking fuel or other poisonous fumes. – The work efficiency of the machine has been greatly reduced. – One or more internal parts have broken down, compromising the smooth functioning of the entire machine. – The machine is missing some safety features, such as an emergency shutoff or relief valves. – You detect rust present in the equipment. Ice forming on a heat pump can be seen deposited on the inside or outside units. This occurs when the surrounding temperature is very low, and can be solved by ensuring the thermostat is never turned below seventy degrees when the air conditioner is turned on. Additionally, a low ambient kit can be installed in the winter to battle the frosty weather. Sometimes, the efficiency of the heat pump is called into question when the thermostat only manages to reach a temperature that is a few degrees below the temperature you set it at. Occasionally, malfunctioning equipment is to be blamed but this problem also occurs in extremely cold weather conditions. Turning the thermostat a few degrees above the desired temperature in cold weather can take care of the problem. Additionally, you need to make sure the outdoor unit is running properly and there is no leakage of heat through faulty or damaged tubing. The house should also be properly insulated to avoid heat leakage. Sometimes, the heat pump keeps running even if you want to shut it down. This adds to the electricity bill and ices up the outdoor unit. Make sure the thermostat is not turned too low. A poorly-insulated house also means the pump will keep supplying heat trying to make up the difference. A break in the connections between the heat pump devices could be caused by one or more wires not being plugged in, meaning the heat pump is not receiving the signal to stop. Sometimes, your device can produce a strange and possibly unpleasant smell that can greatly reduce the living conditions of the area. This smell can take many forms and the cause of the smell can range from electrical faults, to burning, gas, oil or damp, musty conditions, also known as ‘dirty sock syndrome’. While some amount of smell does occur the first time a heating device is used, the smell should not persist for a long time. If it does, check for leaks within the system, which can take the form of loose or frayed pipes. The air filter should be cleaned at regular intervals, and make sure the fan in the system is working smoothly. 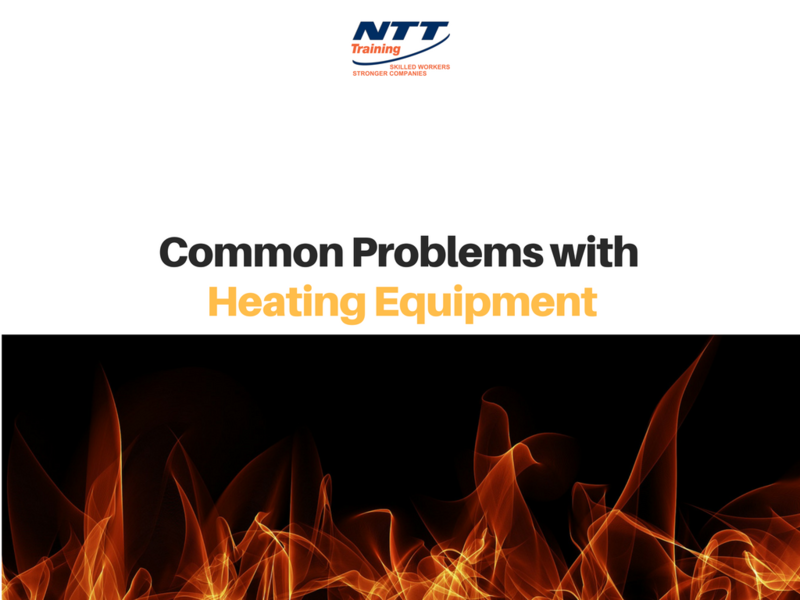 To find more common and uncommon troubleshooting tips related to ventilators, heat pumps and air conditioners, head over to NTT today! Training is available for HVAC: Heating and Ventilation technicians. Get the benefit of in-depth seminars conducted by industry experts sharing their knowledge to add to your field of study as a working professional.